A few years ago, for my Mom’s 50th birthday, I took her to a musical concert in center city Philadelphia. 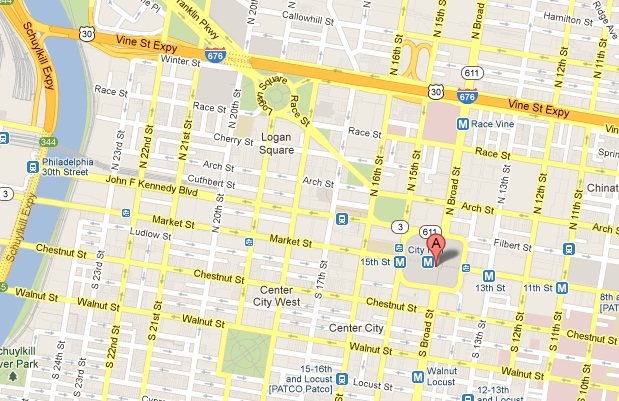 If you know downtown Philadelphia, it is a maze of one way streets. It didn’t take me long to become “misplaced” in this big city at night. I seemed to be driving in circles and struggled to find our destination. My Mom, being a natural born worrier, was convinced we were going to get carjacked. Considering the murder rate in the “City of Brotherly Love”, car jacking would have been welcomed. The only thing worse than being carjacked at night in Philadelphia is being carjacked at night in Philadelphia with your Mother. That’s just embarrassing. At any rate, we were sufficiently lost, running late and needed to find our way to the concert. Since this was before the days of GPS and smart phone navigation apps, all I had was a AAA fold out map and my concerned mother as the co-pilot. Being that my Mom had never driven in Philadelphia or used maps or enjoyed driving at night or enjoyed being in the most dangerous section of a dangerous city, she was not much help in the fetal position – hyperventilating on the floor of the car. Time was running out and I knew I had to do something that would go against every male fiber in my being – ask for directions. Being evening, my options were limited. I could either ask the group of men talking in the middle of the street or the lovely young lady on the opposite street corner. My Mom was convinced the group of men were part of a gang and interested in taking our car. Being her birthday, I obliged her fears and headed towards the woman. As I slowed down, she approached my car with a strange familiarity. Immediately, I realized two things. First, this was no ordinary woman. By all appearances, she was an employee in the world’s oldest profession. Secondly, she knew the city streets well. After talking to my female GPS friend, I got the directions and we were on our way. At some point in time, we have all been in foreign cities (or cities foreign to us) and have gotten lost. Being lost on unfamiliar turf, sometimes the only way to our destination is to ask a local. After all, no one knows the area better. We approach with humility, ask for directions and do exactly as they say, particularly if they seem confident in their response. But, how do we know they are really a local? How do we know they are telling the truth? How do we know the people we ask really know where we are trying to go? Occasionally, while in a foreign city, another traveler will approach me (assuming I am a local) and ask me for directions. To be honest, before I tell them I am from out of town as well, I have a very sinister thought. Having no idea where they want to go, there is a tiny evil twin inside of me that wants to start giving very specific, clear directions and see if they believe me. For all they know, I could be sending them in the opposite direction or directly to the local graveyard. For all I know, I may have just given them directions into a dangerous, car-jacking part of town. Likewise, we have all flown in an airplane. We plan our trip, buy our ticket, get to our gate, board our plane and walk right by the cockpit without knowing the pilot’s name, his credentials or if he is even sober. How do we know he is really a pilot? Did he graduate from airline pilot school with straight A’s or is this guy the class clown who barely passed? Does he even know where he is going? The girl giving directions. The man flying our plane. The doctor in surgery. The local mechanic. Complete strangers to us and we trust them. We trust them implicitly, without hesitation. If we can trust these people with directions or even our very lives, why do we struggle trusting the God of creation? God has never forgotten to rise the sun. He has never been late on a sunset. He keeps the stars in place and causes planets to orbit without collision. He provides rain for the grass blade and food for the ant. He knows when a sparrow falls to the ground and He’s counted the number of hairs on your head. He gives what is good to those who ask Him and through “His divine power has granted to us everything pertaining to life and godliness” (2 Peter 1:3). If that were not enough, He loves us more than we can even love ourselves. So much, that He died in our place so that we can live in His. Next time you ask for directions, be reminded of who you are trusting. Next time you board a plane, remember that your life is in the hands of a total stranger. They don’t know your name. They don’t care about your day. But you trust them without blinking. A total stranger. We trust an unknown stranger before we trust the God who knows us. The truth is, God is a stranger to those who do not trust Him. Is He a stranger to you?